IPS’ New Thinkers’ Symposium saw discussions at the Policy Hub focus on some of recent government initiatives aimed at creating an enabling environment for economic transformation in Sri Lanka through technology and innovation under the Symposium’s overall theme of Technology and Economic Transformation. Advisor to the Ministry of Development Strategies and International Trade (MODSIT), Anushka Wijesinha, outlined the need to address problems related to limited export diversification, pressures of trade liberalisation, and the country’s poor business climate, when striving to enhance export competitiveness and FDI attractiveness. In this regard, research by IPS also highlights the importance of diversifying exports into potential new products and markets and addressing trade and transport related bottlenecks as crucial priorities in boosting trade competitiveness. Commenting on some of the relevant projects that MODSIT is involved to this end, Mr. Wijesinha noted that an ecosystem of initiatives is being implemented to create an enabling environment for exports and FDI. Some of the key policy initiatives include the National Export Strategy and the National Innovation and Entrepreneurship Strategy 2018-2022 that provide the supportive framework to upgrade export competitiveness by identifying new potential sectors, such as electronic components and boat building, as well as support for technology upgrading – both of which are crucial to diversifying Sri Lanka’s export basket. Another policy is the granting of financial incentives to help firms innovate. For instance, the Market Access Support Programme and the Enterprise Innovation Programme provide financial incentives to firms on a competitive basis, to develop new products to be tested in new markets. Meanwhile, efforts are also being taken to address business climate issues. To this end, the Ministry and implementing agencies are working to address problems identified by the World Bank Doing Business Index that hinder business competitiveness, while specific forums, such as the Exporters Forum and bilateral investment dialogues, are used to identify and address issues that arise from time to time. Furthermore, establishing a Single Window that allows parties involved in trade and transport to lodge information and documents with a single-entry point to fulfill regulatory requirements, is another crucial element of this ecosystem. Based on public-private consultations, IPS research provides insightson developing a Single Window Blueprint for Sri Lanka for facilitating smoother flow of trade. Thus, this ecosystem of policy initiatives can help make the trade and investment environment more favourable in general, and diversify Sri Lanka’s export basket to include new, innovative products in particular. Mahesha Jayawardene, from the Ministry of Foreign Affairs, underlined the role of economic and commercial diplomacy in facilitating economic transformation. The recent integration of foreign policy with the trade arm can support local businesses to compete in new markets, with innovative products. Some of the policy initiatives undertaken by the Ministry in this regard include the introduction of KPIs on tourism, investment, trade, and foreign employment units for each foreign mission, efforts taken by missions in promoting Sri Lanka in selected markets, and contributions towards negotiating bilateral and multilateral Free Trade Agreements (FTAs). Priyanka Krishnamoorthy of the Ministry of Finance focused on the government’s efforts to propel economic transformation through increased female labour force participation (LFP). As explored by IPS research, opportunities for women to enter the labour market have declined over time. Based on information gathered by the Department of Census and Statistics under the Labour Demand Survey, Ms. Krishnamoorthy highlighted three overarching reasons for employers’ low demand for female employees: 1. household roles and responsibilities (child care, elder care, and housework); 2. human capital mismatch (lack of necessary skills for the workforce); and 3. gender discrimination at the workplace. The 2019 Budget attempts to improve the female LFP by intervening at relevant lifecycle events. For example, the Budget proposes loans for pursuing higher education at non-state education institutions, which aim to expand women’s access to tertiary education, while the government hopes to encourage private sector internship and apprenticeship programmes to improve job opportunities. In order to encourage higher female participation in the labour force, the Budget proposes to extend the maternity leave up to four months and to bear a portion of the cost of maternity leave borne by private sector companies. Additionally, there are proposed measures for expanding child-care facilities. In an effort to enhance greater female participation in decision-making, a sequenced approach to increase female representation in boards of listed companies is proposed. However, as IPS research shows, female economic empowerment strategies need to take into account the differing settings and backgrounds of women. Human capital requirements for enabling technology-driven economic transformation was also flagged as a critical policy priority, during the discussion. The importance of promoting STEM based learning (science, technology, engineering and maths) was highlighted in this regard. 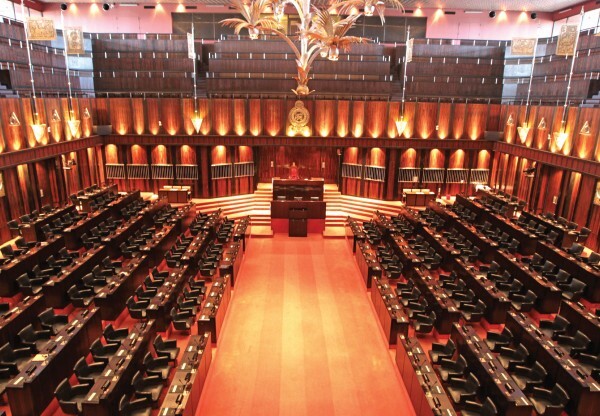 Policy initiatives geared towards economic transformation are well underway in Sri Lanka and range across a host of policy priorities, with an emphasis on promoting technology and innovation. However, driving Sri Lanka’s economic transformation, led by innovation and technology, requires systematic collaboration across a host of public sector institutions. Authors, Nipuni Perera and Chinthani Sooriyamudali are Research Officers at IPS.